Purchase online in India ECG Electrodes MSGST-06 at low cost from DNA Technology, Nashik. These are one time usable disposable electrodes used for ECG/EKG Monitoring that can be used with the AD8232 ECG Modules as well as the EKG/EMG Shield. Electrocardiography (ECG or EKG) is the process of recording the electrical activity of the heart over a period of time using electrodes placed on the skin. These electrodes detect the tiny electrical changes on the skin that arise from the heart muscle's electrophysiologic pattern of depolarizing during each heartbeat. It is a very commonly performed cardiology test. 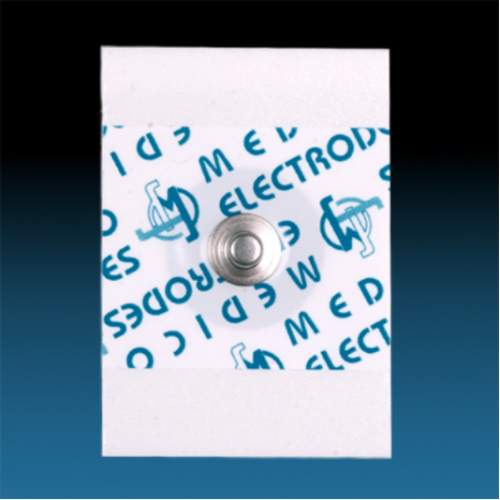 An electrode is a conductive pad in contact with the body that makes an electrical circuit with the electrocardiograph. 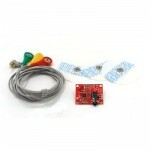 MSGST-06 Monitoring ECG electrodes are the standard in monitoring electrodes. Superior silver/silver chloride technology and quality construction produce an electrode that performs every time. Excellent adhesion and clear traces mean no repeat testing. Adhesive solid gel series SGLT, has a specially formulated solid gel that improves adhesion and ease of application, while reducing the need for cleaning up. Available in diaphoretic foam, clear tape or soft-cloth. Options available are stainless steel snap, radio-translucent snap & 4mm Banana adapter. Our carbon snap electrodes are an excellent choice for Cath-Lab, CCU, Nuclear medicine and MRI. AD8232 ECG Sensor ModuleECG also known as Electrocardiogram is a noninvasive medical procedure to me..